Overcoming ethical, legal, and social challenges associated with emerging health technology and big data is essential to ensuring the safety of all Americans. We have a mandate to ensure supporting frameworks exist so that our personal data is not exposed. 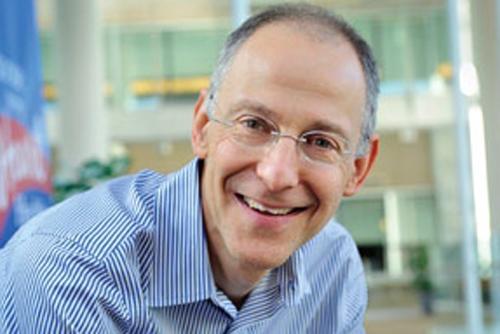 Ezekiel J. Emanuel is the Vice Provost for Global Initiatives, the Diane v.S. Levy and Robert M. Levy University Professor, and Chair of the Department of Medical Ethics and Health Policy at the University of Pennsylvania. He is also an Op-Ed contributor to the New York Times. He was the founding chair of the Department of Bioethics at the National Institutes of Health and held that position until August 2011. Until January 2011, he served as a Special Advisor on Health Policy to the Director of the Office of Management and Budget and National Economic Council. He is also a breast oncologist, and an author and co-editor of nine books. After completing Amherst College, he received his M.Sc. from Oxford University in Biochemistry. He received his M.D. from Harvard Medical School and his Ph.D. in political philosophy from Harvard University. His dissertation received the Toppan Award for the finest political science dissertation of the year. In 1987-88, he was a fellow in the Program in Ethics and the Professions at the Kennedy School of Government at Harvard. After completing his internship and residency in internal medicine at Boston’s Beth Israel Hospital and his oncology fellowship at the Dana-Farber Cancer Institute, he joined the faculty at the Dana-Farber Cancer Institute. Dr. Emanuel was an Associate Professor at Harvard Medical School before joining the National Institutes of Health. Dr. Emanuel developed The Medical Directive, a comprehensive living will that has been endorsed by Consumer Reports on Health, Harvard Health Letter, the New York Times, Wall Street Journal, and many other publications. He has published widely on the ethics of clinical research, health care reform, international research ethics, end of life care issues, euthanasia, the ethics of managed care, and the physician-patient relationship in the New England Journal of Medicine, the Lancet, JAMA, and many other medical journals. Dr. Emanuel served on President Clinton’s Health Care Task Force, the National Bioethics Advisory Commission (NBAC), and on the bioethics panel of the Pan-American Healthcare Organization. Dr. Emanuel has been a visiting professor at numerous universities and medical schools, including the Brin Professor at Johns Hopkins Medical School, the Kovtiz Professor at Stanford Medical School, the University of Pittsburgh School of Medicine, UCLA, and a visiting professor at New York University Law School.